The fourth studio album from Nightrage motors away monotonously on a set of melodic death tracks, never misfiring but rarely finding the sweet spot where power and inspiration meet. Wearing A Martyr's Crown can be appreciated for its consistency but it is also unfortunately easily forgettable. Opener Shed The Blood kicks-off the album with an impressive bang and a lot of promise, Antony Hamalainen's vocals aggressively complementing the guitars of Marios Iliopoulos and Olof Morck, as they release an eloquent melody at break neck speed. Lamentably, nothing else on the album sounds as good, and the next four tracks come and go with predictable structures and barely distinguishable elements. None are poor; yet none carry a badge of distinction. Abandon finally manages to break the dreariness thanks to more deliberate pacing and sharper edges built around an attractive theme. In relative terms the album finishes with some marginally more interesting selections. 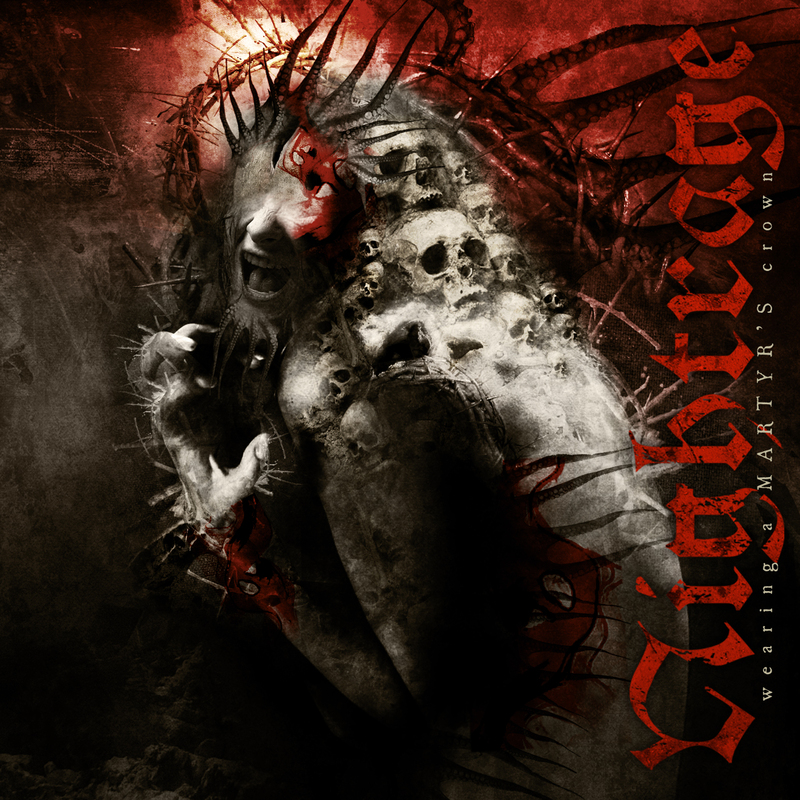 Mocking Modesty, Failure Of All Human Emotions, and Sting Of Remorse serve as reminders that Nightrage can call upon a slightly more elevated spirit to stir the soul. Mocking Modesty makes good use of a calculated path leading to a modest castle on top of a small hill. Failure Of All Human Emotions races ahead on power juice, Jo Nunez pounding his drums into the turf and challenging his band mates to keep up, which they do. Instrumental Sting Of Remorse ends proceedings with welcome if self-indulgent contemplation. Wearing A Martyr's Crown carries a whiff of potential, but on this evidence Nightrage do not earn the right to wear any crown. Engineered and Mixed by Fredrik Nordstrom and Henrik Udd. Mastered by Peter In De Betou.